Bargain tablet? 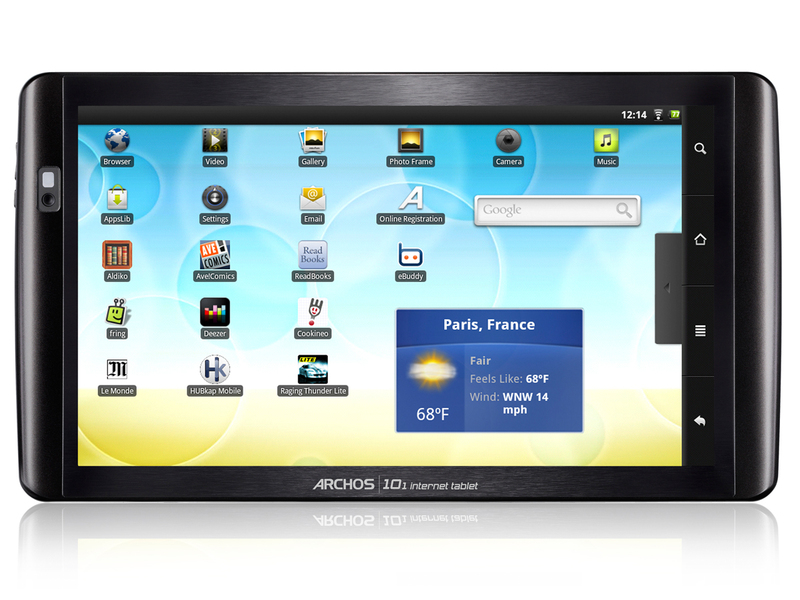 In addition to a plethora of tablets in various sizes, Archos also offers a model in the popular 10" format with the 101. A light and slim case is just as attractive as the HDMI and USB 2.0 equipment features. We looked into what one can really expect at a current price of 280.- Euros. This is far from an impressive tablet and came as something of a disappointment given Archos' strong legacy in portable entertainment products. The price is a palatable £229, but we think most people will find the BeBook or Creative Ziio better options, while 3G and the Samsung Galaxy Tab or the Linx N700 are not far away, price-wise. The Archos 101 is a little unwieldy for one-handed use, has an average screen and slightly unresponsive touchscreen, for a capacitive model, but with a tweak or two it's a very versatile and useful entertainment device. We'd recommend waiting for the next generation of tablets to arrive before making a buying decision though, especially when the first-gen iPad's price drop shows that prices could tumble significantly. Ultimately, the good battery performance and connectivity features are not enough for us to recommend the device given the lack of business features, poor screen and lack of Flash support. We would urge users to wait for the Motorola Xoom Android 3.0 Honeycomb tablet. PowerVR SGX530: These graphics cards are not suited for Windows 3D games. Office and Internet surfing however is possible. » Further information can be found in our Comparison of Mobile Graphics Cards and the corresponding Benchmark List. OMAP 3630 1GHz: » Further information can be found in our Comparison of Mobile Processsors.